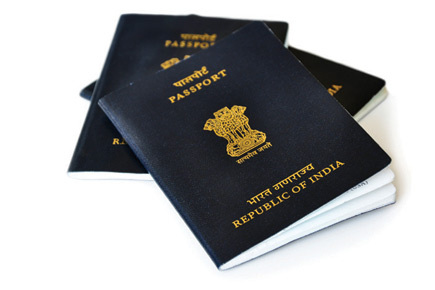 The Passport Ordeal – Flawed, Cracked… But Rare! For the past one month or more, I have woken up daily to news that makes it hard for me keep my morning breakfast inside me. Crimes against women, crimes in general, the apathy of lawmakers and politicians, the callous attitude of the keepers of law, the nonsense spewed out when certain idiots open their mouths and the general untoward daily tidings have managed to turn my once heart felt respect for this country to utter disgust. Where once I had hope for a nice future here, I no longer have the inclination to chase that mirage. It is a mixture of helplessness and the inability to ignore what goes on around me. I would do what little I could to assuage my own fears and concerns regarding life in India and yet it would still not be enough. Of course, sense dictates that change takes its own sweet time… but, I want to live my life now…dammit! My passport expired a couple of months back and I have been running up and down to get it reissued/renewed. A simple process in most countries and so it was here too as my previous experience suggests. This time however, I had quite a tough time, applying, getting an appointment and then finally being able to submit the required documents… ironically, the process has been moved online for easier and faster access. For a country whose IT force is world renowned, the government websites here all leave a lot to be desired. But, thankfully I cleared all those hurdles and then started the long wait. This time the ball had rolled into the jurisdiction of the police… it was verification time. I understand that the police force is neither that numerous and certainly not flush with time to go to every applicant to verify their details. It makes perfect sense to call the applicant over to the station and get it over with. So, here I was waiting and waiting and waiting… past the designated 21 days within which my passport was supposed to have reached me, past an additional 20 days grace period I spared in belief that a busy year-end might be the culprit for the delay and 5 days more I needed to take out for my own personal work. When there was no sign of a call from the cops or a beaming postman with a registered post, I went down to the police station and asked them if my file might have made its presence felt in the station. The cop, of course, told me to come after 5 days after I had checked all the file bundles in the room. As always in these cases, I thanked my immense patience and dug my nails into my palm and left the station. After 5 days I promptly returned to the hallowed halls of law to check if my file had decided to drop in. The cop had this blank look and seemed to not remember asking me to show up and insisted he would message me when my file did land. I offered to check their files again if he was too busy, but he had to have lunch and he could not leave the office attended by me, an outsider. Er… fair enough… Maybe! He did inform me that I might have to check with the CID office in my area as the passport files first land there and are distributed to the local cop-stations from there. I went back home, disappointed, vented my frustration on Twitter and Facebook and booked a cab to the CID office for the morrow. Early next morning, I woke up to the sweet chime of my mobile announcing a text message… after all the headache the passport gave me, the message was like a GPS indicator beeping the location of the Holy Grail! With papa retired a few days back, I had someone to drive me over to the station. Lucky me and lucky rickshaw drivers who were spared my usual tirade and refusal to pay extra. I carried with me all possible documents I had and had not submitted at the passport office to ensure a swift verification. Considering it was a passport renewal, I did not think my Grade X certificate would be necessary… but the cop after going through all the documents which included my B.E. certificate and college Leaving Certificate, decided that he had to ensure that I passed Grade X! In his form he jotted down my education as B.E (Graduate Engineer) and promptly asked me to get my Grade X certificate and a letter from the Co-op Society of my building that says that I am a resident there since so many years (which is weird as I stay with my parents but I have been in Kuwait all this time). And he also told me to get it by 7:30 PM. I was back at the station by 7:15 PM. The cop gave me one look, looked at his watch and said it wasn’t yet 7:30 PM. I was pretty impressed by the punctuality of the Indian police! By 9:00 PM, my verification was finally done. I signed the required documents and made my way home weary, but happy that I am one step closer to that much needed ticket to escape from here. Of course, the cop did inform me that the passport would take at least 25 more days to show up… now that is another long wait… and perhaps another story. The thing that irks me is that people who apply for the passport via the normal channel are made to suffer. The first time I applied for the passport I did it using the Tatkal service and got it within a week but that was a decade back. My mom got hers via tatkal in a matter of 3 days and the police did not even bother verifying… This was around 6 months back. Since, I did not need it in a week and didn't want to spend more than needed I opted for a normal renewal. The fee has been increased for both normal and tatkal services (2k and 4k resp. ), but the quality of service seems to have dropped in proportion. I can understand what you've been through, I had to face rejections for my visa application several times and then, there was the passport renewal process as well. Paperwork in India is a nightmare. It gives me goosebumps and a sweaty brow always.